In the autumn 1944, the environs of the village of Strečno below the castle of the same name were the scene of fierce fights. A group of 52 Frenchmen, led by Captain Georges de Lannurien, took part in the military operation on the side of the insurgents. 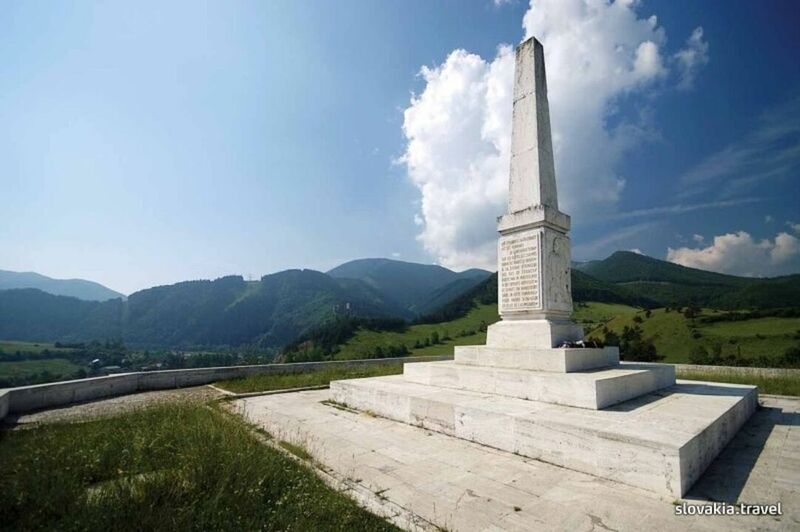 The Memorial of the French Partisans, standing on the hill Zvonica was solemnly unveiled on 29 August 1956. The memorial, made of travertine, was designed by the sculptors Ladislav Snopek and Ladislav Beisetzer. Under the memorial there is a crypt with the remains of 24 partisans. Every year late in August, a wreath laying ceremony is held here with the participation of the members of the diplomatic corps and delegations from France.